NFusion Solaris FTA Satellite Receiver Based on the platform of it’s bigger brother, the NFusion Nova, the NFusion Solaris is continuing to uphold the highest standards you have come to expect from every Nfusion product. The NFusion Solaris FTA Satellite Receiver is the hottest and most talked about Digital FTA receiver in the market to date. The NFusion Solaris FTA Satellite Receiver is the new generation of FTA solutions offering Internet based updating technology and PVR functionality. NFusion Solaris replaces NFusion Nova. Satellite tv deal the NFusion Solaris connects to internet via ethernet cable or powerline adapter. 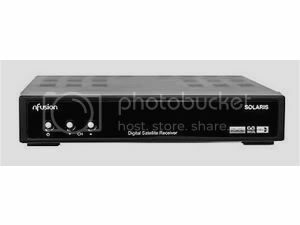 The NFusion Solaris FTA Satellite Receiver does PVR through Ethernet.